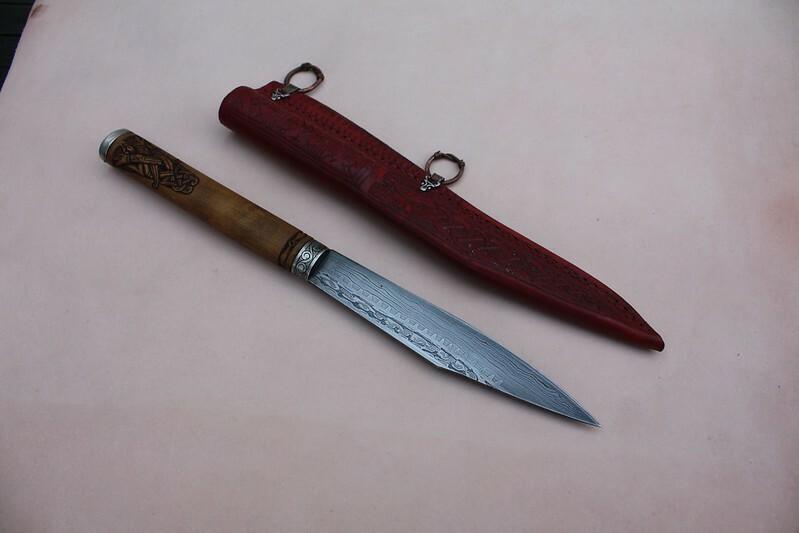 Forum Index > Makers and Manufacturers Talk > Wolf tooth seax . Posted: Thu 11 Dec, 2014 8:32 am Post subject: Wolf tooth seax . This seax was quite a long time in the making. I forged the blade at the Oakland Axe and seax-in in 2013 as a demonstration piece. A nerve wracking experience ion front of quite a few people who have influenced me along my path. It is based upon a blade in the museum of london that I was lucky enough to document. 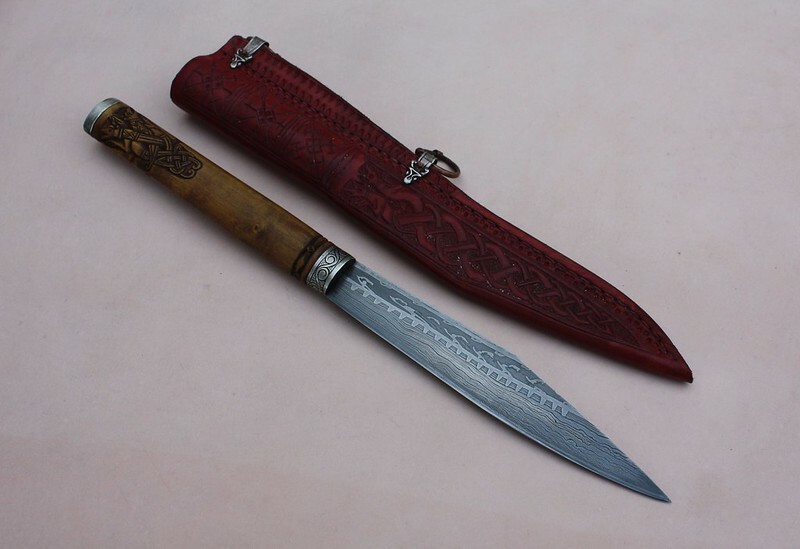 an elegant blade with very fine forge welded teeth as part of its patterning. I did the forge welding and rough blade shaping in Oakland California and then brought the blade back to the Uk. I finished it up and spend quite a bit of time considering how to finish it. 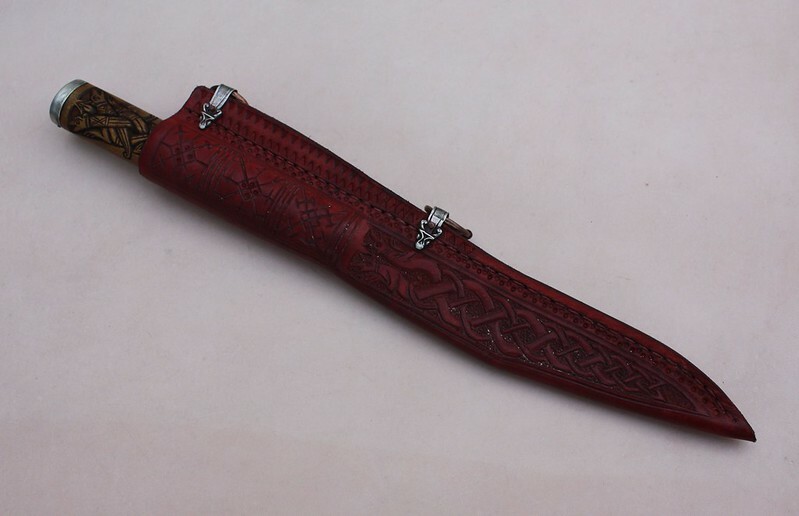 In the end I came to the conclusion that It would want a decorative handle and sheath to do it justice (its defiantly one version of the finest Blade I have ever made). and so after some discussion at my forge in I sent it home with Petr Florianek to put a handle and sheath on it. and I think he did it justice for sure. That must be one of the finest seaxes I have seen, Owen. Masterful work by you and Petr! It all came together in a way so that the sum is greater than the already high quality of its parts. Thanks Peter that means a lot. Deep bow before a master craftsman. I could stare at the patterning all day! Owen and Petr, that is simply stunning in every respect. Still looking for something to 'tut' at. The blade is extraordinary. I know that pattern took some serious effort and is still very difficult, so to execute it so crisply is remarkable. It really does have a depth of detail that is unusual even in an accomplished pattern welded piece. 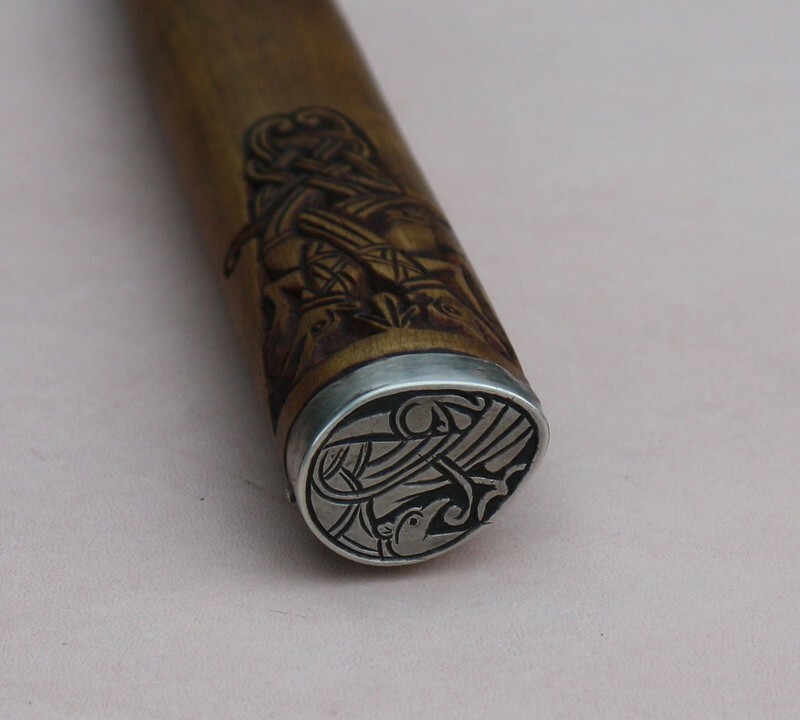 Much can be said for both the handle, cap and scabbard carving. All the elements are reflected in each other across 3 very different media to create a harmonies whole.